It was a countdown to the nuclear war. 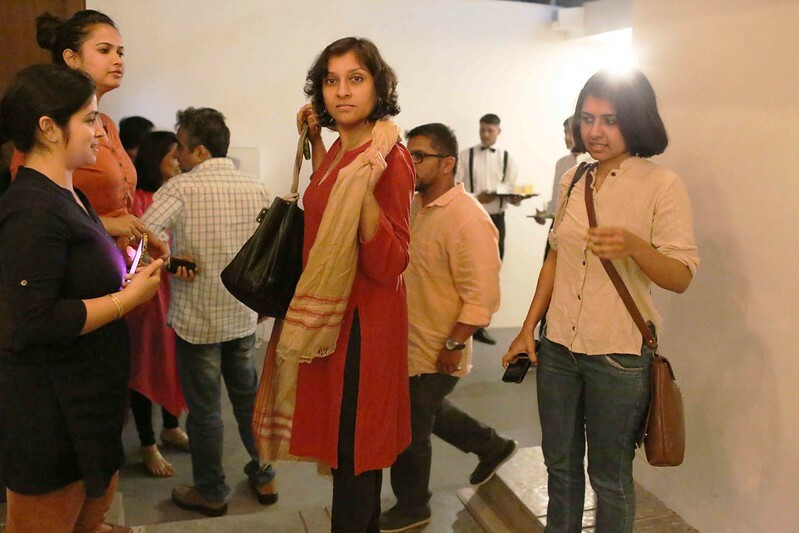 Two superstar Indian journalists ended up almost within an inch of annihilation. 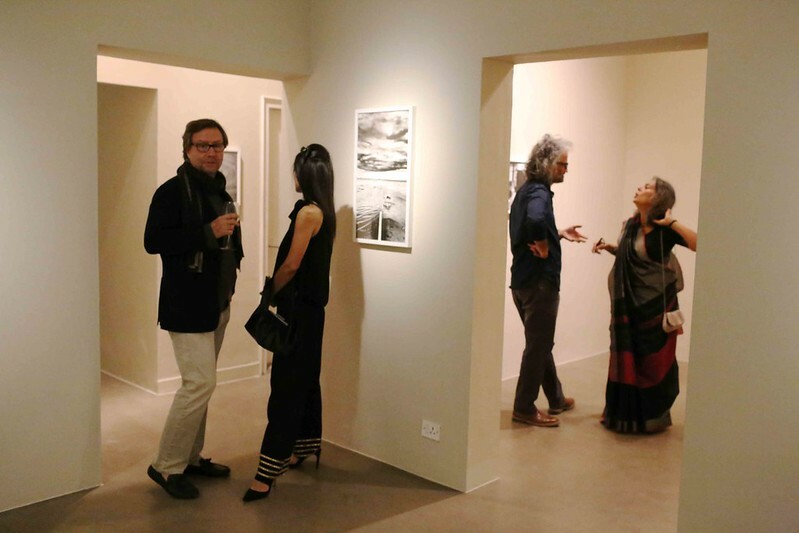 The Delhi Walla watched the spectacle with bated breath one evening during the opening of the photo exhibition of author William Dalrymple at Vadhera Art Gallery in South Delhi’s Defence Colony. Manu Joseph–who quit the editorship of the Open news magazine after the arrival of the new Prime Minister in Delhi–came within kissing distance of his successor, S. Prasannarajan–who overnight turned the magazine from being anti-Prime Minister to pro-Prime Minister. As these important and honorable men found themselves very close to each other, their faces were emptied of all expressions. Their bodies seemed to stiffen. Mr Joseph focused his gaze towards a Dalrymple picture, his lips pursed. 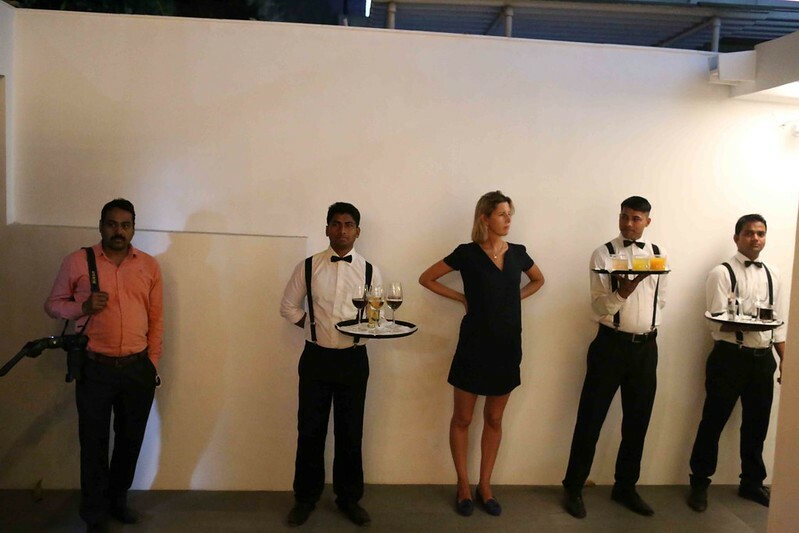 Mr Prasannarajan took the door leading out to the bar. The remainder of the evening flowed happily. 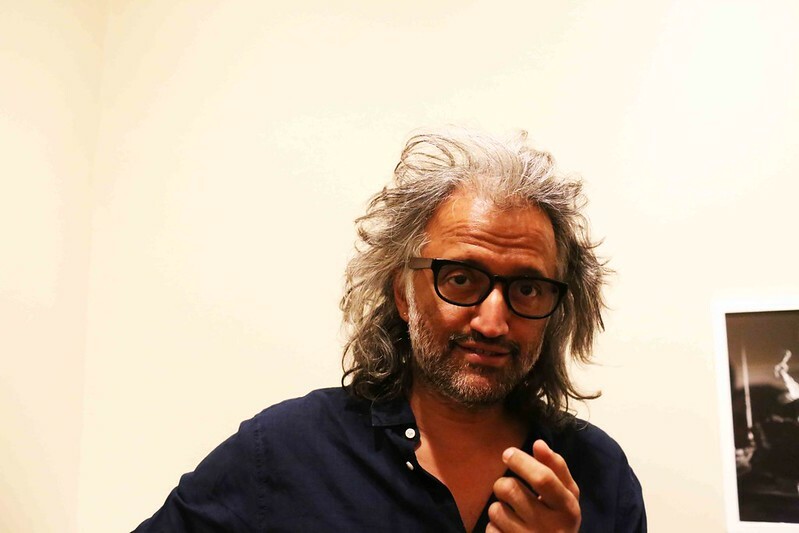 Artist Subodh Gupta and artist Samar Jodha spent three minutes and twenty-one seconds together. 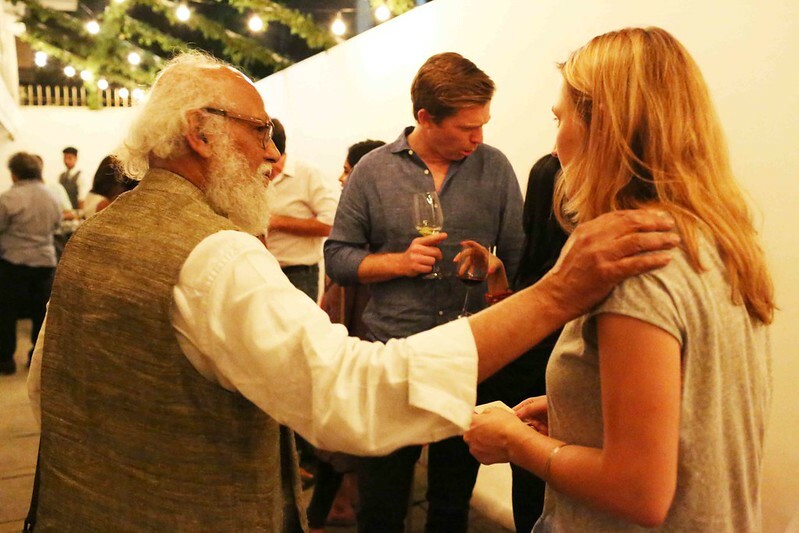 Painter Jatin Das stayed loyal to his delightful reputation of being extremely affable with the beautiful people (see last picture below). Author Gillian Wright arrived without her partner, author Mark Tully. 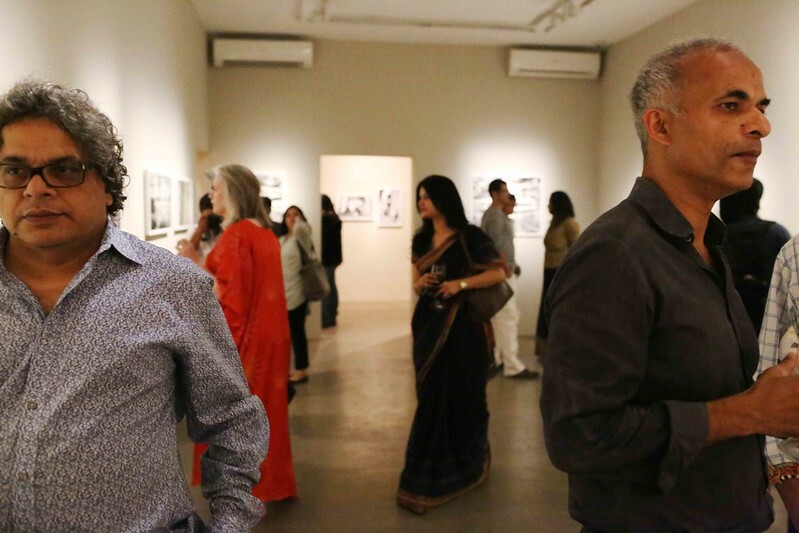 Photographer Raghu Rai had his hat. 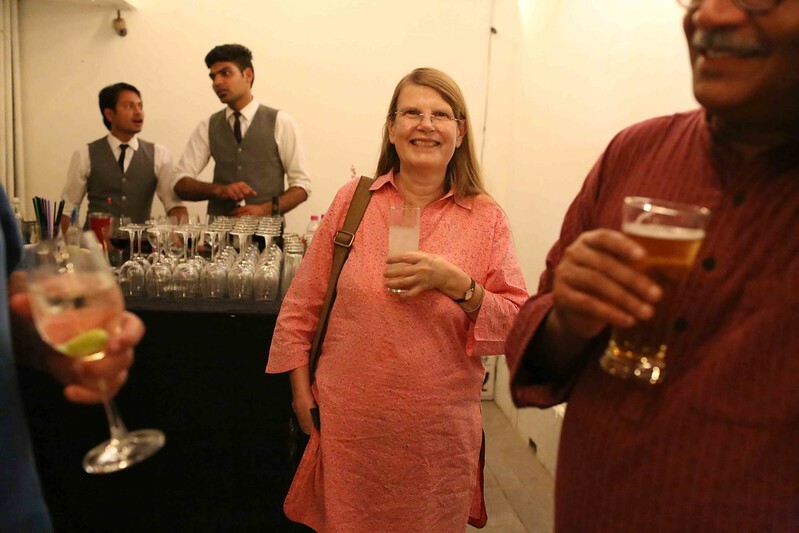 Also sighted: author and hotelier Aman Nath, publisher Karthika V.K., photographers Sebastian Cortes, Ram Rahman and Amit Mehra, university professors Madhavi Menon and Jonathan Gil Harris (they had the self-assured vibes of a power couple), and book critic Jaya Bhattacharji Rose. 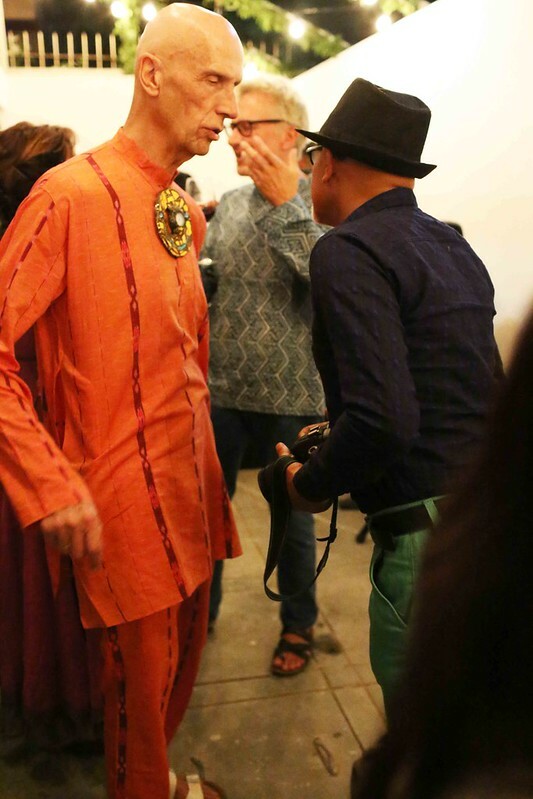 A notable eye-catcher: English artist Andrew Logan, whose London pad is said to be a party venue to die for, looked resplendent in an orange dress. The evening’s most desirable man was Salman Haidar. He looked dapper in his loose jacket. 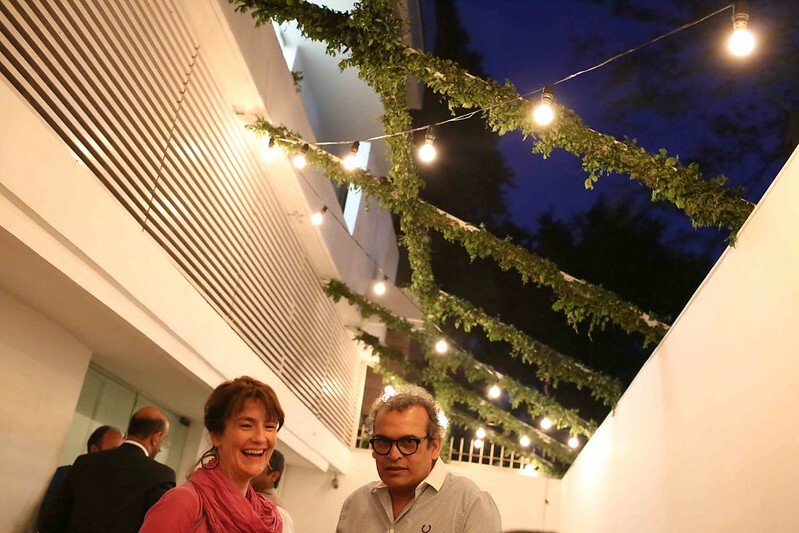 The retired diplomat came with wife, actor Kusum Haidar, who is known for her roles in embarrassing movies like Kama Sutra: A Tale of Love and Midnight’s Children. 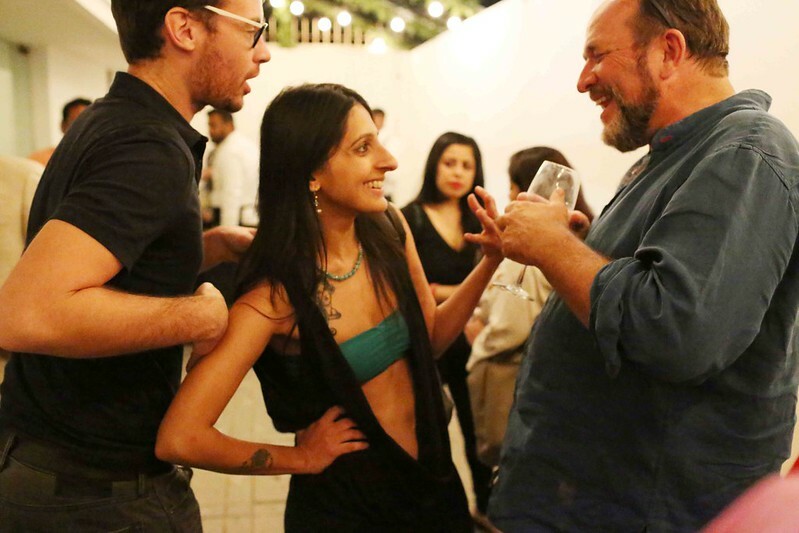 As the evening’s Mughal, author William Dalrymple looked confident to re-conquer the Orient–this time as a photographer. His wife, the lovely artist Olivia Fraser, was overheard talking about “my show next week in New York.” The couple’s son Adam also showed up. And I’m still trying to find out if Manu Joseph and S. Prasannarajan finally shook hands or not. Ach mein gott! How thrilling! 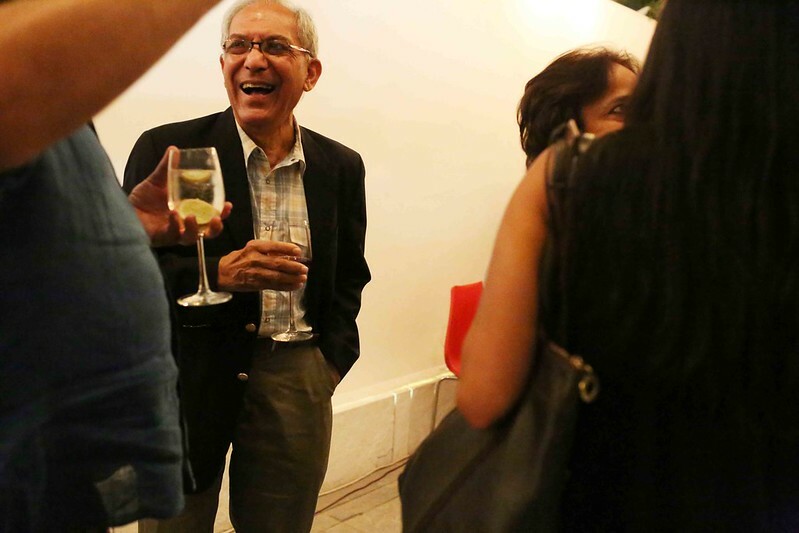 Did no one send an invite to Mr. Hartosh Singh Bal though? Wow!! as always, a nice way to write up a page3 get together. It is crisp and belong to a hush-hush circuit.